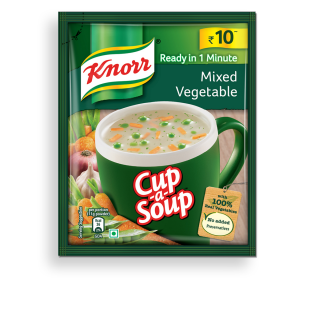 Knorr Mixed Vegetable Cup-A-Soup is made with real vegetables like potatoes, peas and carrots which makes this hearty soup is a wholesome snack. Knorr Cup-a-Soup satisfies your small hunger pangs in just 1 minute. What's in our Mixed Vegetable?